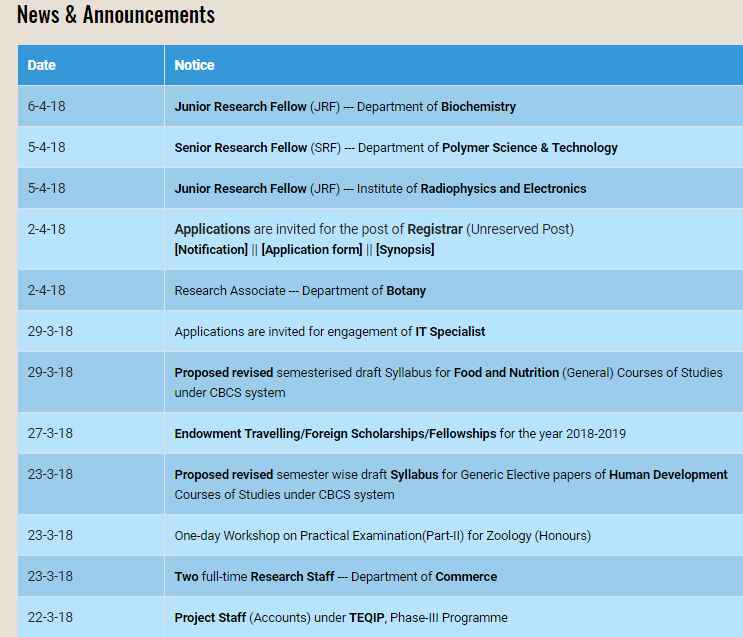 Can you tell me where on the official website of University of Calcutta will I get the list of Candidates selected for PhD Program (Technology) admission in Department of Computer Science & Engineering? The University of Calcutta is a public state university located in Kolkata, West Bengal, India established on 24 January 1857. Internationally, it was ranked 751-780 in the QS World University Rankings of 2018. The same rankings ranked it 125 in Asia and 64 among BRICS nations. It was ranked 801-1000 in the world by the Times Higher Education World University Rankings of 2018, 191-200 in ASIA and 179 among BRICS& Emerging Economies in 2017.